Rank-and-file Republicans are continuing to distance themselves from their party's unpopular health-care bill as the July 4 recess nears its end. Sen. John Hoeven told constituents he ""doesn't support the bill as it stands," but believes the Senate will get to something better, according to the Bismarck Tribune. Sen. Jerry Moran, facing a crowd with a lot of health-care questions, also reiterated his opposition to the most recent Senate bill, the Topeka Capital-Journal reported. 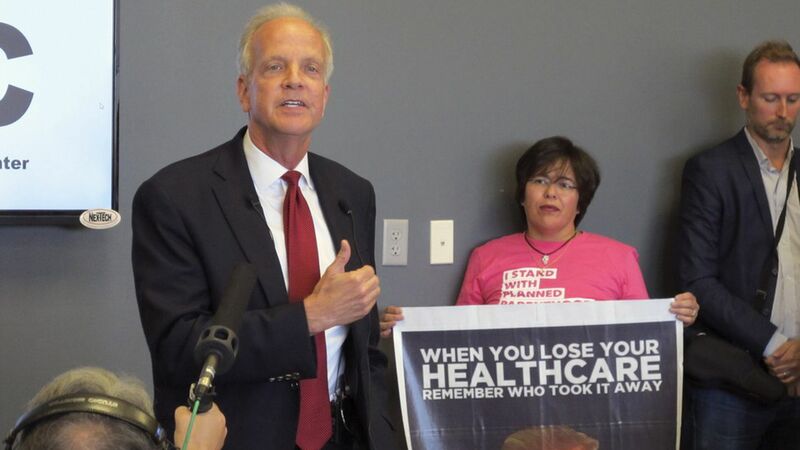 Moran said he wants a more bipartisan process and to preserve protections for people with pre-existing conditions. Reality check: Once Majority Leader Mitch McConnell decided not to hold a vote on the most recent version of this bill, almost every Republican had an incentive to say they would have opposed it. But, as easy as it is to oppose the bill "as it stands," the next iteration isn't going to be all that different — and that will make Republicans' political choices more difficult. The more vocally they disavow version 1.0 of the Senate health care bill, the harder it'll be to make the case that version 1.1 is great.